"All officers and employees of the State of Alabama, or of any county, municipality, or other agency or political subdivision thereof, or officers or employees of any public or private business or industry who are active members of the Alabama National Guard, Naval Militia, the Alabama State Guard organized in lieu of the National Guard, or of any other reserve component of the armed forces of the United States, shall be entitled to military leave of absence from their respective civil duties and occupations on all days that they are engaged in field or coast defense or other training or on other service ordered under the National Defense Act, or of the federal laws governing the United States reserves, without loss of pay, time, efficiency rating, annual vacation, or sick leave. Notwithstanding the foregoing, no person granted a leave of absence with pay shall be paid for more than 168 working hours per calendar year, and those persons shall be entitled, in addition thereto, to be paid for no more than 168 working hours at any one time while called by the governor to duty in the active service of the state. This section shall apply to all schools and institutions of learning supported by state funds.” Code of Alabama, § 31-2-13(a) (emphasis added based upon assumption that this part of law may be unconstitutional – see White case cited below). Although the new law, by its language, applies to private businesses, as well as the State of Alabama and its political subdivisions, the Alabama Supreme Court has held in the past that requiring private employers to grant paid military leave violates the Alabama Constitution. See White v. Associated Industries of Alabama, Inc.373 So.2d 616 (Ala. 1979)(the requirement that employers pay their employees for 21 days a year Guard or Reserve service when they do not work alters working hours and pay provisions in violation of Alabama constitutional provisions forbidding impairment of contracts Art.1 section 6, the due process provision, and Art.1 section 22, the impairment of contracts provision of the Constitution of Alabama, 1901). The right to paid military leave applies to active duty, active duty for training, and inactive duty training (drills). The 168-hour limit means four work weeks plus one work day, for the typical public employee working 40-hour weeks. After exhausting the right to paid military leave under this section, the public employee has an essentially unlimited right to unpaid military leave under the Federal Uniformed Services Employment and Reemployment Rights Act (USERRA). While we know of no legal challenges yet brought by private industry to the paid leave part of the law, we expect them by one of the industry associations. Common Sense Counsel: it is imperative to comply with the law that both public and private employers modify their current military leave policies in accordance with this recently enacted legislative statute. However, those new military leave policies will most likely be different, based upon the White case discussed above, and the advice of your management labor attorney. The U.S. Federal Trade Commission (“FTC”) has adopted revised Guides Concerning the Use of Endorsements and Testimonials in Advertising (the “Guides”). See 16 CFR Part 255 for the complete Guide http://ecfr.gpoaccess.gov/. The Guides seek to protect consumers against deceptive marketing schemes by requiring the disclosure of certain “material connections” between advertisers and endorsers-such as employees. The Guides state that employers may be liable under the FTC Act for their employees’ postings on social media – such as Facebook, LinkedIn, Twitter, and blogs – that comment on the employer’s products or services without properly disclosing the employment relationship, or where such employee postings are otherwise misleading. Employer Liability for Employee Social Media Endorsements. An employer may be subject to liability for their employees’ “false or unsubstantiated statements made through endorsements” or for “failing to disclose material connections between themselves and their endorsers.” Additionally, employers may be liable for such unsubstantiated or deceptive statements posted by independent contractors or other service providers of the employer. The Employers may incur liability even where it had no knowledge of the employee’s postings or blogging. 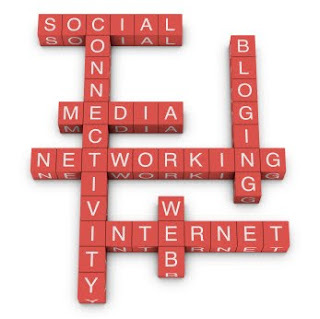 Protect Yourself by Enacting a Social Media Policy. The FTC has advised that “the establishment of appropriate procedures would warrant consideration in [the FTC’s] decision as to whether law enforcement action would be an appropriate use of agency resources ….” The FTC has already brought disciplinary action against employers that failed to establish or maintain appropriate internal procedures, resulting in consumer injury. Employers may not rely on a rogue employee defense to avoid liability under the Guides, especially where the employer failed to implement an appropriate social media policy. Common Sense Counsel: Considering the FTC’s Guides, an employer’s social media policy should clearly define the limitations upon employees’ work-related use of social media channels requiring: (1) employees to identify their association with the employer whenever an employee is using social media to comment upon the employer’s products or services; (2) unless an employee’s blogging or online postings are officially sanctioned and reviewed by the employer, the employee should be required to use conspicuous disclaimers that his or her views do not represent the views of the employer; (3) cover issues such as the use of photographs and names of co-employees or customers; and (4) employees should be reminded of the employer’s right to lawfully and respectfully monitor their social media postings and other online activities for compliance with the employer’s policies, the Guides, and applicable law. In recent months SAPs have been reporting to a well respected Medical Review Officer, Dr. C.B. 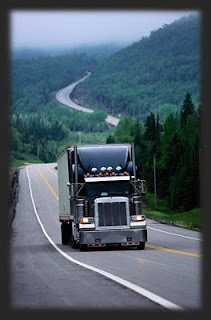 Thuss, Jr, M.D., CMRO that some CDL drivers are being fined by DOT when they have continued driving after a violation, without completing a SAP return-to-duty process. SAPs have been surprised at this. An e-mail from a SAP reported: "I called DOT, and was told that DOT is now starting to go after the employees that don't follow through, to fine them if they are using their CDLs. He said they were not just going to fine the companies." Employers should not be surprised. This has always been in the regulation. 49 CFR Part 382.103(a): "This part applies to every person and to all employers of such persons..."
49 CFR Part 382.507: Any employer OR DRIVER [emphasis added] who violates...shall be subject to...civil and/or criminal penalty provisions..."
Under this regulation, a driver and an employer are equally responsible for consequences of a violation. For example: a driver is part-time with Company A and part-time with Company B. He tests positive on a Company A test, and is removed from safety-sensitive functions, including driving. He also must be removed from safety-sensitive functions for Company B. But he must first inform Company B of the violation. If he does not, he faces serious fines for driving, when he knows he cannot drive. Because of confidentiality, Company A could not report the violation to Company B. The driver is the only source of this information. It would be good practice for SAPs and employers to inform drivers about this provision in the law and recent enforcement activity. 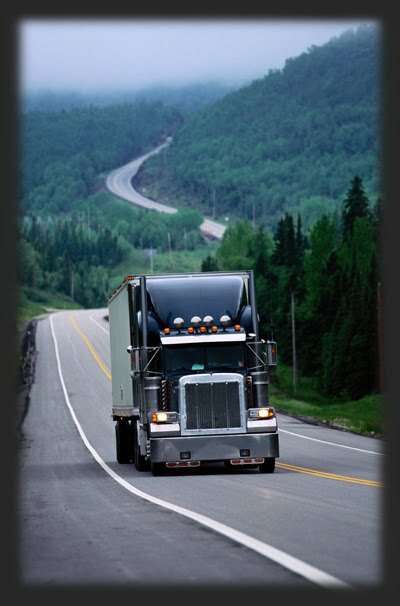 Drivers ought not think that they can safely hide a violation from other employers, or from any future employers.